I was not fortunate enough to have a camera or a mobile, leave alone a smartphone. Those days, even Mobile was non-existent in India. The rights of this picture above belongs to its right owners. This picture is taken from Justin Vela’ Blog. I loved this picture. Courtesy Justin Vela! Thanks to Google Images!Circa 1982… Almost quarter of a century ago…! I had a very unforgettable, shuddering and horrible experience in one of the interior villages of Bihar. In the first place, why on earth was I there? Before narrating that terrible experience let me talk about the good things first. And there are many good things in Bihar to remember though that one particular experience made a sort of scar in my memory. My six months long stay in the interior Villages of Bihar was immediately after my heavenly twelve months stay in the rural Punjab. I have already written about one of my soul stirring experiences in Punjab in another posting. If have not read it, please visit “My Punjab Diary”. 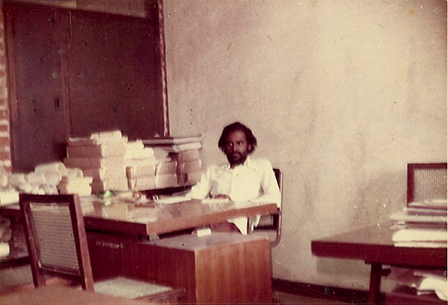 Anyways, I was in for a shock treatment when I shifted to Bihar of those days from the Punjab of those days. 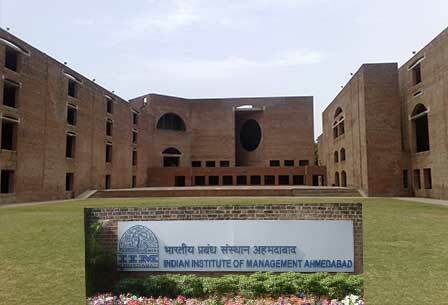 The famous IIM – Ahmedabad which was my home for almost 4 years! I was on a World Bank Project being managed by India’s premium management Institution, Indian Institute of Management (IIM), Ahmedabad. This was a research project to understand the differences in the Agricultural practices in the two extreme states of India, Punjab & Bihar. Punjab was the most prosperous State especially in terms of Agriculture and Bihar was the most underdeveloped and un-exploited state which in reality is much richer in fertile lands, metals and mineral compared to Punjab. What actually made Punjab flourish so much and what made Bihar perish to the lowest level? I am talking about the states during early 1980s. Today it may be different. While there could be political reasons to it, I do not want to touch upon that. There are enough social reasons to it. I am here to take you to those times and also one of the most chilling experiences I had in one of the remote villages in Bihar. Anyways, just to give you an idea of the results of that research, let me tell you my observations. At least some of you might find it interesting. There were majorly two reasons. The fields in Punjab were able to be cultivated using large agricultural implements due to single pieces vast area owned by joint families and handed down over generations. In Bihar, it is the other way round, the lands are fragmented and it is very difficult use any major equipment that made the farming efficient. This is because of the family systems they had. 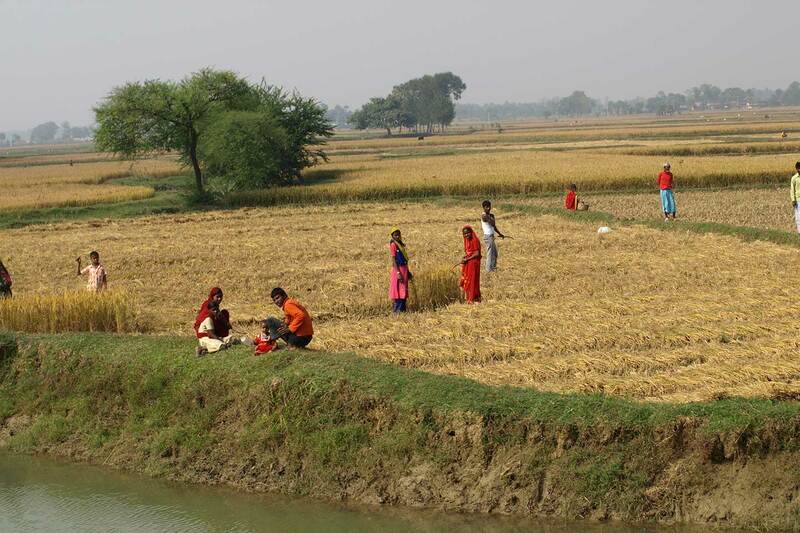 When they marry away their children, the fields are also cut and given away as dowry. The bride moves to other villages and unfortunately her fields remain unattended. This has been happening for generations and the result is that the fields in Bihar are bits and pieces of extremely fertile land but cannot be cultivated effectively. Another major reason could be the fact that farmers from Bihar go to Punjab looking for greener pastures, and work for quick money regularly without waiting for the harvest. I have personally seen many young Bihari men and small families alighting at Jalandhar railway station. It was a sight to behold where the Punjabi landlords of the farming community literally bargain and buy them on the spot for life. Sort of bonded labour, I guess. I am told that they are even drugged slowly with opium so that they remain loyal for life. ‘Attitude’ of the farmers in both states also plays a major role in this major shift or wealth. In Punjab, you will not find a single person (male or female) not involved in the productivity of theirs farms. You can easily see even a 90+ year old Sardars driving Tractors into the fields. And in Bihar the farmers believe in enjoying life as ‘Landlords’ and not toiling by tilling their fields when the time is right. They move in flocks to Punjab and work there like bullocks to make them (Punjab) rich by remaining themselves poor for life! There could be more to all these in reality which I was not able to see. But I have left all those and moved on. But what remained were some vivid memories, good, bad, chilling, horrifying and of course some really good memories of my visits to the Buddhist monastery of Rajgir and the ruins of the ancient Nalanda. HOW I BECAME A PART OF HISTORY!? During my stay in Bihar, I had to travel frequently between Patna and Muzafarpur as I was operating North Bihar from Muzafarpur and South Bihar from Patna. People say, if you construct new roads to nowhere or bridges across the rivers, the developments are automatic. Roman rulers were the first one to try that and the rest is history. Olden days, Cities thrived on the banks of rivers or on sea shores. These days, cities thrive on the sides of inter-state Highways and expressways. 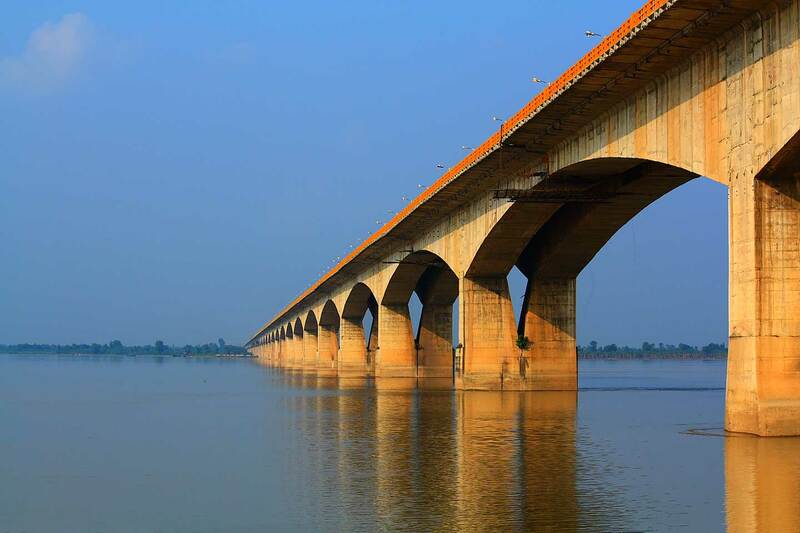 It was during my first month of life in Bihar, I witnessed the commissioning of the longest River Bridge, Mahatma Gandhi Setu across the River Ganga connecting the North and South of Bihar by the then Prime Minister Indira Gandhi in 1982. And I was one of the fortunate few who got a chance to drive across the bridge right behind Late Prime Minister Indira Gandhi. Before the new bridge was built, the travel to Muzafarpur and back took almost 6 hours by very bad roads through another bridge, Rajendra Setu down the river Ganga that connected South Bihar and North Bihar. With the new bridge, it took less than 90 minutes! That was a great blessing for me personally, not to mention for the entire population that lived in the area. At last, Muzafarpur got better connected with the capital City Patna and I am told, the development in Muzafarpur was manifold in a very short time since then. 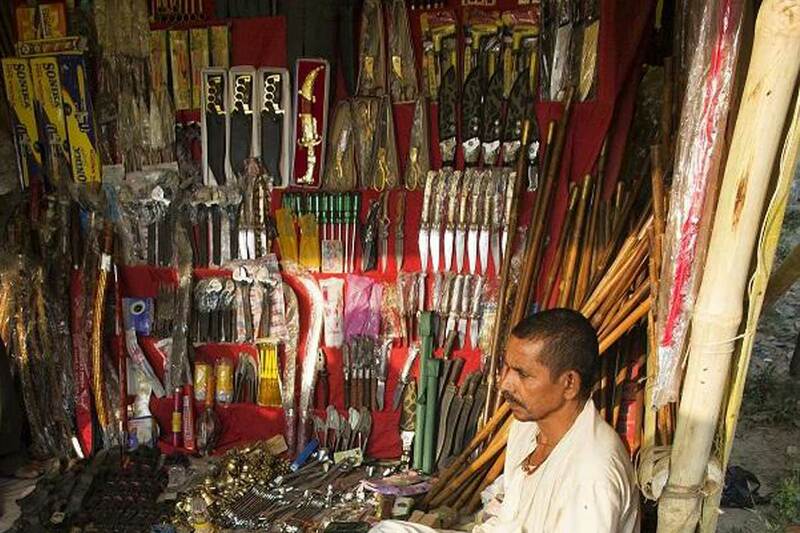 My stay in Bihar presented me with a variety of experiences. I was at awe seeing the way people dressed and the kind of language they spoke in the interiors. It was not ‘Hindi’ though sounded a little like that (It was Bhojpuri). To me it didn’t make any difference as I didn’t know either much for that matter. But I could easily manage. Once you leave the city Patna, the whole state seemed to me like a state where dust and mud play hide and seek. If there is no dust, there will be mud. Still I liked the simplicity of the people there. The sad part is that everyone there looked very poor and very depressed. Their permanent expressions were of sufferings, poverty and helplessness. Anger was also a common expression which I am sure must have stemmed out of poverty and the bad practices handed down by generations. There were fatal fights between family members, feudal lords, and even villages! This is exactly the opposite of what I experienced in Punjab almost a year just before I landed here. They always fought by standing together. Not divided. Freedom fight for Khalistan was a major movement but that was limited to a specific sect. A huge country of contradictions, indeed. Whether it is landscape, language, looks, mannerisms, mental state, the places in a geographical separation of just 1000 KM, are too different. And where else in this world do you get to see this kind of diversity? Now, coming to the central matter. The incident that refuse to leave me even after a quarter century. Though I do not remember the name of that spot, I remember the incident to great detail. I was travelling to one village where my data collection executive was staying. This village with about 120 Families living, is about 3-4 km away from the main road. Only one bus goes through this muddy road in a day. The same bus returns the next day after travelling to a distant bigger village farther down 60 km. I reached the bus stop around 6 PM. There were only about 10-15 shop like ‘things’ seen there. There are two roads going to two opposite directions from that junction sort of bus stop. I noticed a couple of small make-shift hotels as well. They are extended onto the muddy road by a tarpaulin . 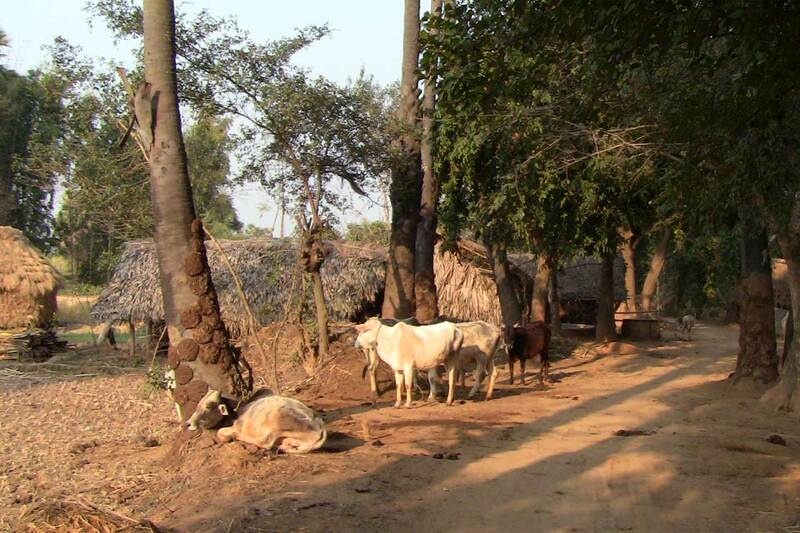 I was supposed to travel further on a bullock cart or by foot to the nearby village which was the actual sample. So, there was no other alternative but to spend the night there. The sun was going down and the dry fields have started to become gold in colour. I could see miles and miles of dry farm land. I approached one of the Hotels and, in whatever communication skill I had, asked for some food and they told me they have ‘Dal-Chawal’ (Rice with sort of curry made of Lentil). I got the food in a jiffy. I was a little surprised but realized that these are prepared continuously. I have already started liking the Dal a lot however thin it was. Lentils were sparse in the curry. Water was more. Still it was tasty. On a stitched-leaf plate, they dumped some rice and poured the thin Dal on top of that. It was steaming hot. It seems this combination is the staple food there. I inhaled the steam straight into my nose. It smelt wonderful! And then, I could not wait but attack the food with my bare hands in full force as I was really hungry. I furiously mixed the Dal in Rice. I was about to put my first mix into the mouth when, through the corner of my eyes, I noticed a sand storm approaching us very fast accompanied by rain. The approaching wind sounded quite scary. The wind whistled sharply and it carried a lot of dust with it. Within no time, the whole place got covered in light brownish dust. It was very difficult to see beyond 15 feet away when the wind passed through the area. The support of the tarpaulin extension could not stand the wind and one of them fell down. When the first wave of the wind got settled, everything there was covered with sand and dust, including my once steaming hot Dal-Chawal. Then it started pouring big time. I did not have time to make any move. I just sat there and looked at the now spoiled Dal-Chawal with my eyes wet with tears and body drenched in rain water. The Hotel owner felt very sorry for me and took me inside to give some more food with a smile. The Hotel owner was watching me eat as though he was watching a friendly alien! After finishing the food somehow, I asked him where I could stay overnight knowing very well that there is nothing in the vicinity except for some Tractor and two-wheeler workshops around. He smiled at me and said proudly “Hum bandobust kar dengena? Bahot bhadiya kamrava nahin, par theek hi hoga ek raat keliye, ji. Kiraaya bhi utna hi loonga” (I will arrange everything. It may not be a great hotel like room but should be ok for a night. I will take very low rent also). I felt relieved. He showed me a narrow steep wooden stair case leading to a small hole on the ceiling. He went up first and I got terrified the way it makes the creaking noise. Any time it could break. Anyway, I followed him and squeezed through the hole to reach the next level. I had to bend down to get into a low congested room with metal sheet roofing and a Coir stretched Cot. I could not even stand erect inside. There is a small window facing the road. Rain was beating profusely inside. Seeing me looking at that pathetically, he suddenly took a plastic sheet and sealed the window. He told “So jao” (Go to sleep). He quickly left the room making lot of sound in the process and the whole floor was shaking. I hit the cot instantly and that is all I remember. Next thing I hear are the birds chirping and some sounds from down below. It felt as though I am sleeping in a farm house surrounded by a beautiful garden. But the thought just vanished the moment I opened my eyes hearing a shout from below. What I saw was the sheet metal roof! I looked at my old and bulky SEIKO Wrist Watch. It is almost 8 in the morning! I jumped up suddenly and hit my head on the low metal sheet roof. Luckily the sheet was loose and it gave way to my head.I sat there for a few minutes thinking to come into senses. Then I changed and slowly went down. I almost slipped on the last step. The restaurant owner suddenly came for help and asked “Sambhalke… Cha?” (Be careful… Tea? )I nodded in the affirmative and sat on one of the benches. The street has already become lively. The road was quite muddy due to the rain last night. But I noticed something about 100 feet away. A crowd was standing in the middle of the road discussing something loudly. Many of them were quite relaxed and drinking steaming hot tea from small clay cups. Some of them were looking very violent and talking loudly using bad words. They were standing around a stool. I tried to listen to them but could not understand a single word. The restaurant owner served me the tea. “Naastva karna hai, jane pahle?” (Like to have some breakfast before leaving?) He seemed to be totally uninterested in whatever is happening 100 feet away. Looking at my confused expression, he told me not to worry and being an outsider he advised me not to get messed up with such things. I asked what the matter was. He looked a little irritated and told me to go and look on the stool kept there told if I really wanted to know what the whole thing is all about. In the same breath he also mentioned that I would be alone responsible for whatever happens to me. Being an adventurous person by nature, I decided to go and see what was there. I slowly walked towards the crowd and I could ‘feel’ many people staring at me. I proceeded and pushed some people aside and looked at the stool kept in there. There was something kept on the stool. I went nearer. I saw the most horrifying thing in my life. A human head was kept on the stool. It was covered with blood, mud, and all. One eye of the head stared straight at me. I almost vomited and ran back to the Hotel. The Hotel owner smiled and asked me to relax and told “Khabdana nahin. Yeh to roz ki baat hai idhar” (Don’t worry. This is a regular affair here). He added “Yeh mundi hai na, paas wala gaav se hamare log kal raat ko le aaya tha. Pata hai kyun? Woh log hamare yahan ke ek aadmi ko maarke mundi le gaya tha kuchh din pehle! Yeh uska jawab hai” (This head is from a nearby village people from where had killed and taken one head from here a few days back. This is the answer to that). I was really scared. My worry was more whether this Mundi is from the village I am supposed to be going now! I checked with the Hotel owner and he confirmed that it is a very different place. Without staying further, I grabbed my airbag and started walking towards the direction the Hotel owner showed. In fact I almost ran from there. I slipped at almost every step as the path was full of mud. Somehow after an unending walk, I managed to lose the noise and the vibe of that place. I saw many people crossing me on the way and it looked as though all were rushing to see the spectacle. With every step, my breath became normal and after an hour and half of walk, I sighted the village. I almost reached the village and I saw my Research Assistant running towards me worried. I knew I was safe now. This was my first ever experience to see a severed head! I sincerely hope the place has changed these days. But News Channels tell a different story. Am not sure if i was horrified by your story but very impressed with your writing which is vivid n visual. What I am sure of is that I love your passion, your exposure and your narrative of life. Truly descriptive. Makes the reader feel he was there with you. 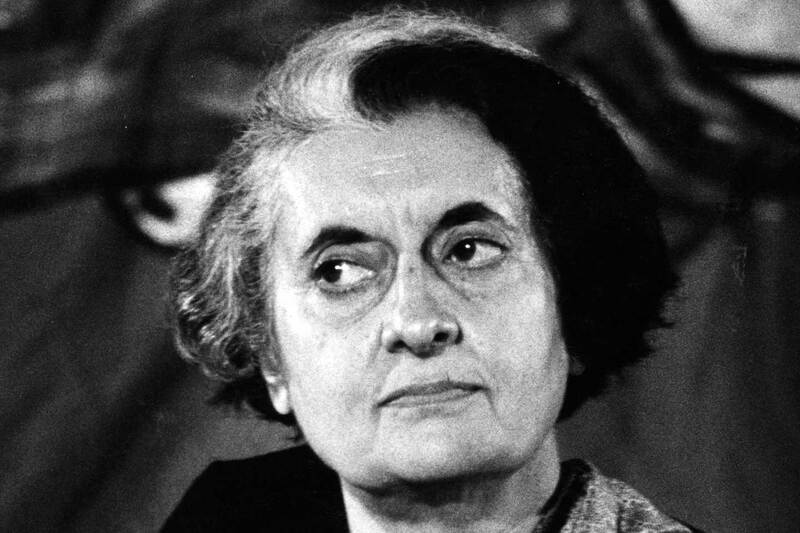 Really sad… As our Father of Nation Mahatma Gandhi once said, “An eye for an eye will only make the whole world blind”. Hi Varmaji, Hope you had a great time in Bihar. I have been in Bihar before in Year 2013 heading finance department of United Nation’s Polio Programme. As most of the volunteers in this project don’t have bank accounts, we have to pay their salary directly. There were 2000 volunteers in this project and we have to travel around 15 districts in Bihar. It was quite challenging due to bad infrastructure and hotel facilities in inner villages of Bihar. Even my colleagues who were born and brought up in Bihar were quite afraid to travel to these villages due to Maoist. Anyway, it was quite an adventurous and learning experience to survive in this world. I am amazed even in 2013 things have not changed much! That too even after splitting the state! Varmaji, I loved your sense of using the right words to express your thoughts and feelings. Though the whole incident is horrific, I enjoyed your writing. But the question still remains “who is responsible for this pathetic situation in Bihar? Is it the people who live there or the people who lead them” ☺ I feel it’s still unanswered even in 2015. Please keep writing these interesting memories. Cheers. Thank you KP for your nice words. Yes… Certain questions are still unanswered. Sad. Or is it that something or someone benefit from keeping the situations in status quo! I am sure such situations do exist in different measures everywhere. Some are visible and some not. In the case of Bihar or any such states, it is more of ignorance and the only solution seems to be development at the grassroot level which can expose and help the real people pull out the weeds and move on. God bless all! While reading this article I could visualize the horrors you came across during this journey. Thanks for sharing your experience. Horrifying experience narrated beautifully… I was horrified by the incidents in 2002 riots in Gujarat.. And also when I heard about 1992 experience of one Muslim family in IIM Campus whom the fanatics were trying to burn but could not do it as at that point a crowd of students reached the place and the crowd got the disbursed… Your story telling skills are great… Keep it up… God Bless…. Regarding the incident you mentioned which happened in IIM, I was present in the scene when a group turned up to burn a Muslim family alive (Mr. Ramjan-bhai). Their plan was to make a minor (a small boy) do the horrible thing so that no case would be built. I was told that they instigated the boy to do it because his parents were killed by muslims! In fact I tried to misguide them by telling the mob that his name was Ram Jan, a Hindu! But they had done their homework. The crowd poured kerosene over the entire family by pulling them out to the terrace in front of our eyes. We were forced inside our house (my in-law’s). We suddenly contacted all we could. The matches they brought refused to get lighted for quite some time. God is great! By that time the IIM crowd gathered and the outside mob had to leave. The muslim family was saved and they left their quarter immediately never to return. Cant forget that incident. There were several such incidences happened during those riots including the one in Lakeview. Hi Doug, great to hear from you… BTW, All Biharis are not those type of Biharis I met and experienced. Like we all know “No bad place or person is entirely bad and no good place or person is entirely good”. So there is always hope. Though things have not changed much, I had great pleasant experiences there. I am glad that you had only good experiences witn your friend. What a crazy build up and then the narrative reveals it’s ugly head. Took me back for a fleeting moment 45 yrs back, when the Vamanapuramassacres rocked Kerala with its horrors! My terrified 5 yr old mind had eprkef up visions of bloody heads and headless torsos strewn around!! I expected weapon wielding psychopaths to suddenly appear from nowhere! I lived in mortal fear for the safety of my loved ones! Your pen has painted that picture ! I can imagine what you went through then, in that remote village. I wonder why Kamal Sadanah was not terrified! Perhaps he has seen and heard worse!But I sure do agree with him about your passion. The painter in you is at work with the word picture. Keep writing Hari Chettan! Thank you for your compliments. Very true, Praseeda… I still remember those massacres. Yes. You are right. I had a lengthy chat with Kamal regarding this. He had had even worse experiences and according to him, the new-gen kids don’t get affected by all these. Telling Stories is my passion, Theatre is my obsession, Travelling is my education, Spirituality is my fascination and Entertaining the World is my profession. I am an emotional being and all that a businessman is not.